It’s almost the summer. In writer land that means the literary festival circuit is in full swing. 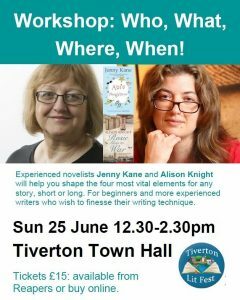 This year I’m embarking upon a mini-circuit of my own – starting in my home town of Tiverton, Devon this very week – before heading to Chippenham Literary Festival in Wiltshire on 30th June, and then turning towards the very South West of the country, and taking part in Cornwall’s Penzance Literary Festival. It would be wonderful to meet lots of you lovely folk along the way. If you’d like to drop by and say hello, here is a run down of my schedule over the next few weeks. Then it’s off to Chippenham, Wiltshire for the second leg of my tour. On the evening of Friday 30th June I’m joined by a star line up of romance authors, to chat about our work, writing in general, and share the joy – and peculiarities- of our working lives! There will be wine and cake – enough said!! 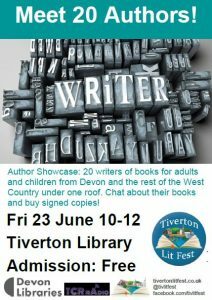 Leg three of my exhibition, will find me on a train from Tiverton Parkway to Penzance Literary Festival in Cornwall on 6th July. This is quite a big deal for me as I haven’t been back to Penzance since the death of my beloved grandparents. My father was born and raised in Penzance, but I have no family in the town at all now, and it is going to be strange experience indeed being there on my own. On 6th July, between 3-4pm I am taking part in the Local Authors panel, talking about how Cornwall inspires fiction. On 8th July, between 10am and 1pm, I will be teaching a Life Writing workshop for beginners and new writers to the genre. On the 9th July I intend to sleep – lots!! 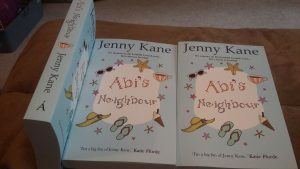 Abi’s Neighbour and I – for that is the novel I’m touring with- would be delighted to see you on our travels! 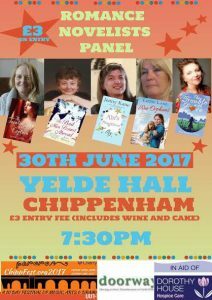 Get those tickets booked (at the Chippenham event tickets are on the door), and I’ll see you soon!